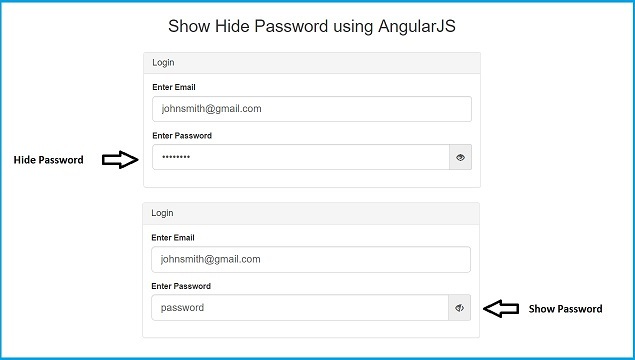 If you have work on any form and in that form you may required to use the password input box. Here we have use Bootstrap CSS library with AngularJS, so by using this library we can use glyphicon icon for make stylish user interface. So, when we want to show password then then we will display eye open icon and when we want to hide password then it will display eye close password. So, user can better understand for what he want to do show and hide password.